Ever since the rise of humans, the world has been at war. The humans, who have ascended to a level of power never meant for them, find themselves embroiled in a war with the gods. For too long, the Balo and Arden of the immortal Athans have waged war, trying to quell this human insurrection. But humans are nothing if not resilient, and they have held their own against the first wave of the Athans. Weary of the deadlocked human insurgency, the Athans have called upon two new Factions to put an end to this bitterly locked war- by any means necessary. Descending upon the war-torn world are two of the Athan elite: the lethal Rayan and the noble Celan. The Rayan are merciless killers and assassins, and the most feared faction of the entire Athan race. They will stop at nothing to complete their task -eliminating the human menace in order to return dominance of all lands to the Athan immortals. But sometimes brutality is not the only means to resolve such a conflict, and so, in order to end this strife through all available options, the Celan - Athan nobility - have been called forth to finish the human insurrection through alternative means - namely, a gentler approach through charm and diplomacy. Which side shall prevail - the Immortals filled with vengeful rage or the Humans looking to protect their existence? 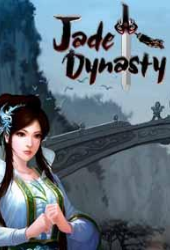 And so, the next chapter in this great saga begins - Jade Dynasty: Vengeance - will you heed the call to fight?